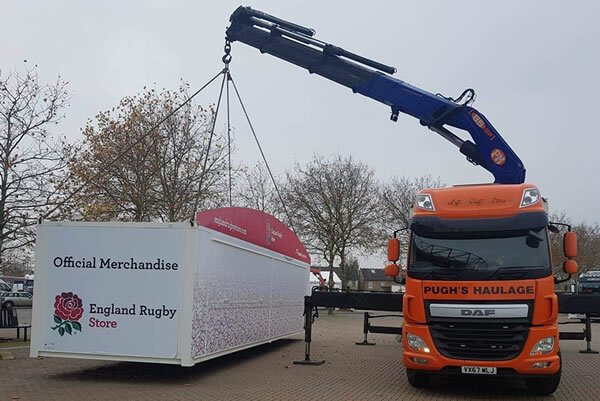 Pugh’s Haulage carry out a full portable building refurbishment service of your used cabins. 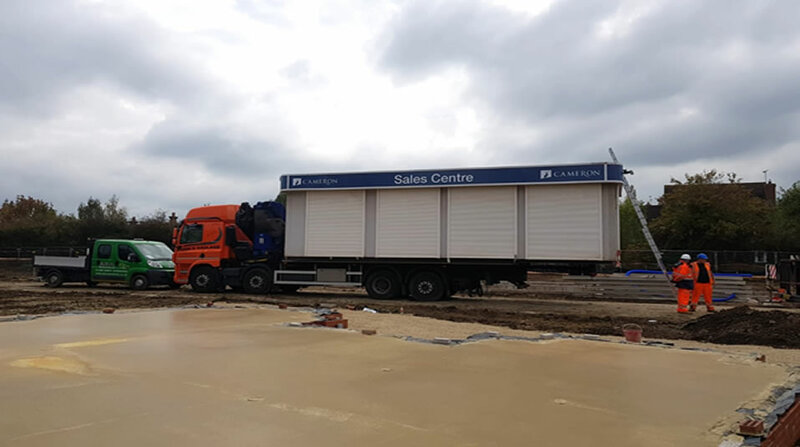 For a complete service from shotblasting to stripping out interiors and fitting out to suit customer requirements including offices, toilets, canteens, drying rooms and even upgrading specifications to ECO cabins – contact us for a quote today. We have a 5 acre secure yard situated in Fladbury nr Pershore Worcestershire. We can store any commercial items large or small, from trestles to 40ft shipping containers. 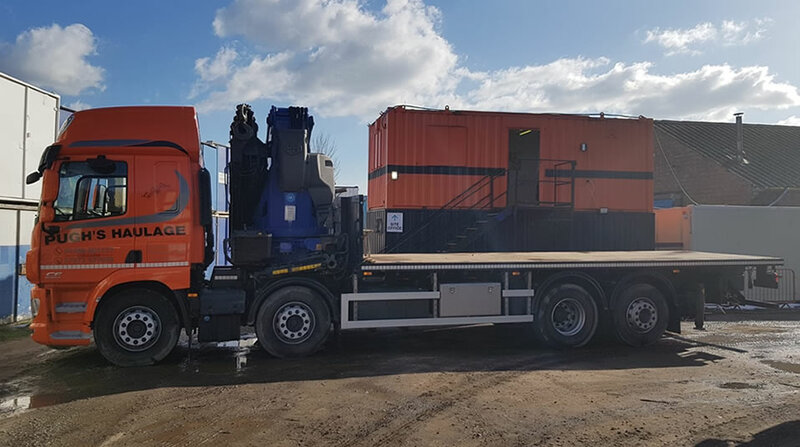 We also have a wide selection of used portable units for sale, ranging from 16ft toilets to 32ft steel offices and everything in between and all at very competitive prices. If you or your company would like any information about storing anything in our yard or would like to purchase /sell a unit please call Darren on 07970341672 and he will be more than happy to help with your enquiry. We always have a range of refurbished portable cabins in stock, plus a host of others waiting to be refurbished / converted so if you have any specific requirements, then please don't hesitate to get in touch. 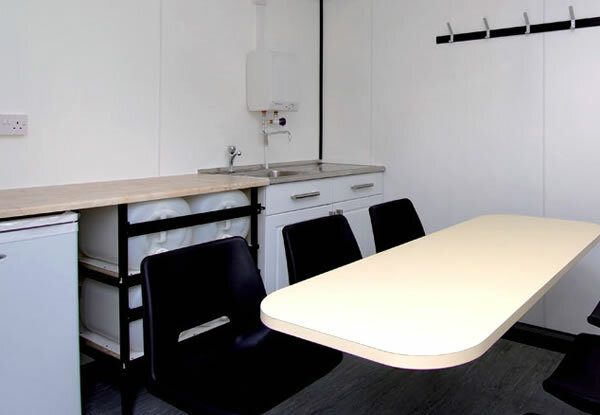 Portable Cabins can have a variety of configurations and internal fittings to suit. Whether it be an office, storage to workmans hut, just call and tell us your requirements. All new frames, guttering and drainage. 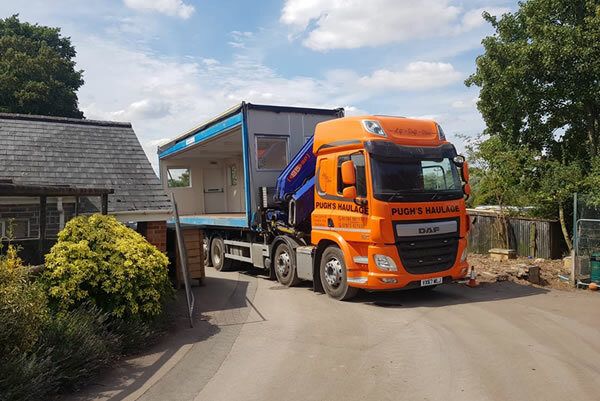 Portable cabins can have a variety of configurations, from a single to multi-doors plus single or multiple windows or none at all, to suit your requirements. All new frames, guttering and drainage are installed. Internally it is totally bare so can be fiited out to suit your own preferences and requirements. Just call and tell us your requirements.